While it may be legal to consume cannabis in Canada, the Town of Picture Butte is taking steps to restrict where it can be consumed. During their regular Oct. 22 meeting, Picture Butte town council discussed a bylaw to regulating the consumption of cannabis in town. According to accompanying documents, council had directed administration to look into creating a consumption bylaw at their Oct. 15 Committee of the Whole meeting. The proposed bylaw 875-18 — or the Cannabis Consumption Bylaw — aims to prohibit the consumption of cannabis in public spaces and set penalties for those in violation of the bylaw. In schedule A of the proposed bylaw, the minimum penalty for those violating the bylaw would be a $50 penalty, with a specified penalty listed as $200, with subsequent offenses within one year resulting in an penalty increase of $100 per offense. 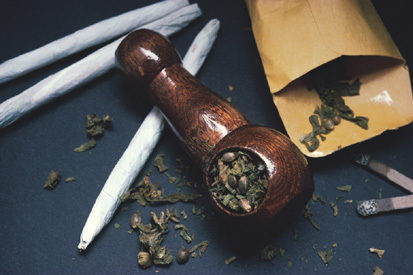 This is in line with other municipalities with Cannabis Consumption bylaws, according to a memo on the bylaw by town CAO Keith Davis, such as Coalhurst — where the first offense results in a penalty of $50, second $200 with a $100 per offense increase within a year — and Barons and Raymond, where the first offense is $50, with increasing penalties afterwards. The Town of Coaldale has a stricter penalty system, with listed penalties ranging from $115-500, depending on the number of offenses. Lethbridge County and City of Lethbridge do not have cannabis consumption bylaws, and that other municipalities such as Magrath, Fort Macleod and Claresholm are currently in the process of creating their own consumption bylaws. As of last Wednesday, there have been no applications for a cannabis retail store listed on the AGLC website for a Picture Butte location. One City of Lethbridge location was listed in a cannabis lisencee search, with another Lethbridge location listed as pending. The memo recommended that council hold a public hearing on the consumption bylaw. Coun. (s) Henry de Kok and Joe Watson said it would be good for transparency purposes, but mayor Cathy Moore wondered if it was needed, as “nobody showed up for” the public hearing for the town’s land use amendment bylaw to allow for cannabis retail shops. Watson noted that council had previously decided that there was ”no real urgency” on implementing a cannabis consumption bylaw, only to return to the matter and decide there actually was an urgency to put one in place. Coun. Cynthia Papworth asked that since council had already “made up our minds not to have public consumption of marijuana”, if it would make a difference whether or not to hold a public hearing. “But if you have a hundred people standing here clamoring that they don’t want prohibition, not that I’m saying it will happen,” said de Kok, on why they should hold a public hearing. Council unanimously passed first reading of the bylaw. A public hearing for the bylaw will be held on Nov. 26.